“If I go farther, I will return richer”. That’s what Srinivasa, a fisherman from the coastal belt of Vijayawada, thought when he left home last Saturday. A loving father to his little daughter, and chief wage-earner of a family of 6, Srinivasa shouldered responsibilities quite early in his life. Growing household pressure demanded more money and Srinivasa left no stone unturned to make this happen. He joined hands with expert fishermen, braving the rough weather with a smile. In his heart, he had strong belief that everything was going to be alright. Stepping in his boat, he was determined to get a larger catch of fish. That could happen only when he went into deeper waters, and spent more time out there. A longer sea crawl called for rugged, reliable fishing and mobility partners which were persistent and never gave up, no matter what the situation was, a mobility partner which could be depended upon to run for long, really long hours, the one that didn’t fail and was economical, without being too heavy on Srinivasa’s pocket, a partner which could be trusted to take responsibility of long-haul operations, and bring back safely the entire crew aboard that marine boat. These marine boats, used by Srinivas and many fishermen, are powered by Greaves engines. They have only improved their performance ever since their launch decades back. Trusted by these brave-hearted sea warriors for years along the coastlines, Greaves engines today enjoy a special relationship with these fishermen and marine boat-owners. It is this trust that people like Srinivasa have in us, motivates us to do what we do - create products and services that enhance their productivity, making them realise there’s ‘More To Life’! 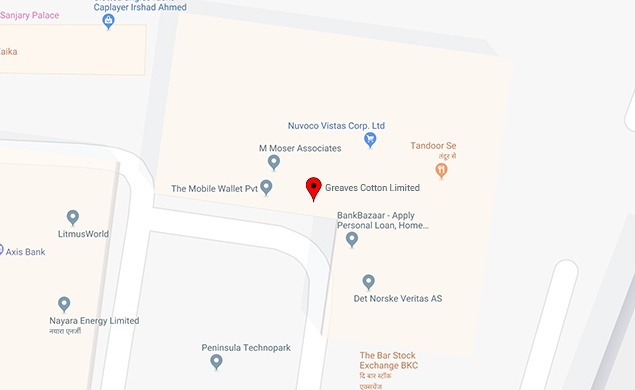 Greaves Cotton Limited, Unit No. 701, 7th Floor, Tower 3 Equinox Business Park, LBS Marg, Kurla West, Mumbai 400070. © 2018 Greaves Cotton Limited. All rights reserved. Designed & Developed By EvolutionCo.